There are more organisations than ever taking steps toward globalisation. Some are doing so enthusiastically; others are doing so out of economic necessity. As businesses become more successful abroad, the time comes when many organisations determine the need to send employees abroad on expatriate assignments. Many organisations might regard their pioneering expatriates to be naturally suitable and adaptable in their new environment, especially if they have already fulfilled a business development role abroad successfully. However, the transition process to an expatriate assignment is much more complicated than simply regarding it as a very long business trip, especially if family members are also involved. Many organisations – even those with several years of expatriation experience – may treat the entire expatriation process lightly, giving little thought beyond the logistics of sorting out visas, signing up the employee for language lessons and organising a removals company. But failed expatriate assignments are expensive. Not only is the money directly invested in the moving process lost, but there is a strong possibility that the highly valued employee may be lost as well. So may the potential be lost for doing business successfully in the expatriate country. Organisations can take several steps to improve the chances of a successful assignment abroad. Many are concrete, such as providing the employee with tax, cost of living and other financial advice. Providing the opportunity for the employee and their family to visit the expatriate destination in advance of a final commitment is an important step to dispel outdated or inaccurate information they may have obtained from questionable sources. On the other hand, a ‘look-see’ visit is also a good reality check as some potential candidates may have either an overly romantic view of their assignment or they may be dealing with disproportionate fear of a destination. Although many organisations have a comprehensive expatriate policy that covers many of these issues, fewer take into consideration the value of cultural awareness training. Cultural awareness training about the destination country is far more than simply providing more detailed information about the same ‘nuts and bolts’ considerations. Many expatriate assignments fail because the employee – or often, a partner or child – does not have realistic expectations or simply does not settle. Yet, too many organisations give this very little thought. Expatriates and their families benefit from learning about the adaption process and what to expect if they accept an assignment abroad. Most people go through a process of excitement, but after they have set up home and start to live their normal routine, then the feelings of denial and separation can arise. Separation – both the feeling of being different in their new country as well as being away from their old home – can be a potent cause of failed assignments, especially if these feelings are not expected or recognised as a natural part of the expatriate experience. It is not uncommon even to feel angry a number of months after arrival in the host country, rejecting key characteristics of the new culture as being ‘wrong’. Managing these strong emotions is a major key to the ultimate success of an expatriate assignment. Failing to manage or, in some cases, recognise these symptoms for what they represent, can lead to a lack of assimilation and a lack of acceptance. Cultural awareness training assists the expatriate and family to cope with these stages of the transition process. In today’s diverse world, many expatriates take into account not only their own career path, but also the career path of a partner, whose own career may be disrupted if the expatriate assignment is accepted by the employee. As a great proportion of expatriate assignments fail due to the partner’s inability to adapt, strong consideration should be given to support programmes for the partner as well as for the employee. Comprehensive information should also be provided to address any issues related to relocating children, especially if they have special needs or specific interests that may not be as readily accepted in the new location. Older children in particular can benefit from their own cultural awareness training that is designed to resonate with their age group. Once an employee accepts an expatriate assignment and makes the move, many organisations expect the employee to set up home and become immersed in their new job as quickly as possible. Many employees and their families may experience frustration or perhaps further culture shock once they are faced with the details of how things are done differently in their host country, especially if they value efficiency and the host country is perceived to be less efficient. Assisting the employee with the settling in process upon arrival is often overlooked by employers although it is a critical step to get right to increase the chances of a successful assignment. Organisations that recognise the values of post arrival assistance could prevent assignments from failing if these challenges are addressed in an appropriate and timely manner. Organisations with a long vision will also recognise the eventual need to address the expatriate’s repatriation process, as both the expatriate and their home environment will have inevitably changed during their assignment. This important but often overlooked step can help reduce the uncertainty of accepting an expatriate assignment, especially for candidates who wish to plan for the long term. Finally, there are some potential employees who, no matter how good they are at their job, may not be the most suitable candidates for an expatriate assignment. Many organisations recognise the value of psychometric evaluations that may identify particularly suitable (or unsuitable) prospective expatriates. In general, expatriates who do well on an expatriate assignment tend to exhibit certain characteristics, including empathy, an optimistic yet realistic attitude, recognition that there is no one ‘right’ way to do things, are able to move beyond stereotypes and see individuals for who they are, and, perhaps most importantly, exhibit flexibility and patience. Has your organisation optimised your expatriation process? Declan Mulkeen is Marketing Director at Communicaid a cultural and business communication skills consultancy offering cross cultural training to organisations and professionals. 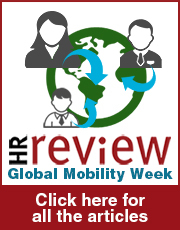 Why are millennials a double-edged sword for HR? What does the Spring Statement 2019 mean for HR?